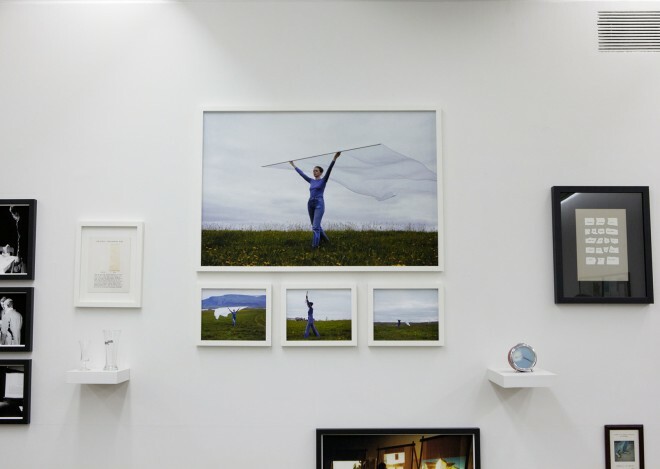 On May 6th 2012 was the last day of a large retrospective exhibition; Rúrí – Retrospective, at the National Gallery of Iceland, curated by Christian Schoen. From Room No. 2: On show, some of the earliest works of the artist from the seventies and early eighties and documentations of these. Room No. 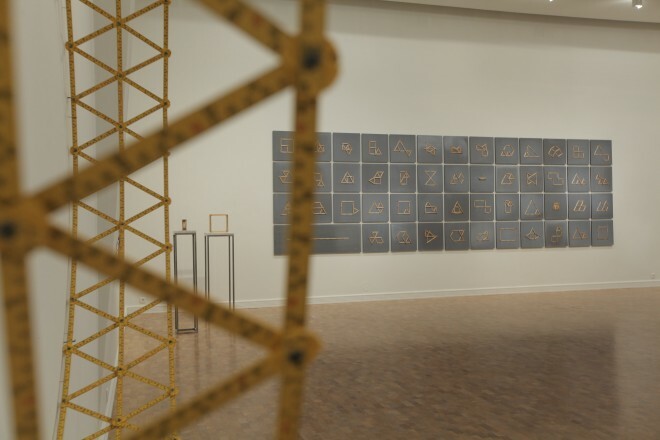 1 hosted works in the Relativity category (made of centimetre rulers) from the early nineties, as well as conceptual works from the early eighties, made of flat glass. One part of the exhibition, Room No. 4, will continue as a separate exhibition; Endangered, until the end of December 2012. Endangered features among others the installation Archive – Endangered Waters (2003), and Termining (2008). Video from Room No. 3: showing an installation of the remains from the performance Dedication (2006) including a video projection. Video from Room No. 2: some works from the early seventies and eighties and onwards, performance documentations, and an early installation.